Canopy Growth (NYSE:CGC) has solidified its position as the best bet for profiting in the marijuana market by buying Hiku Brands (OTCMKTS:DJACF) for stock. Canopy will pay .046 shares of its own stock for each Hiku share, valuing the smaller company at C$1.90 per share. It’s a smart move, because Hiku has a retail brand, Tokyo Smoke, while Canopy has production facilities. Also, recreational marijuana is becoming legal in Canada. Legislation to that effect could go into effect by October. The buyout now puts Canopy Growth, which had been operating in the medical marijuana field, in pole position. It won’t be all clear sailing. 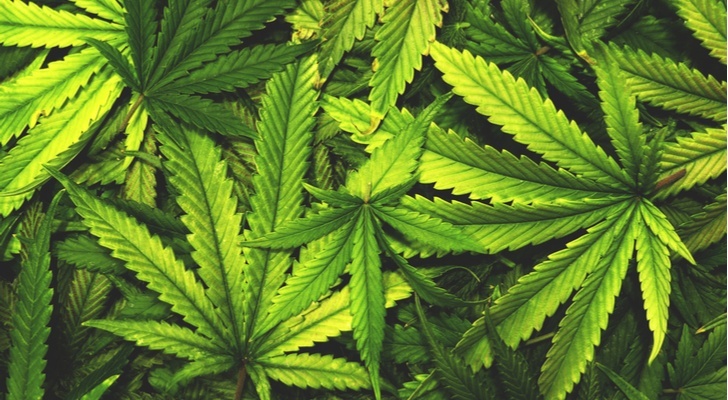 Marijuana is still a Schedule 1 drug in the U.S., alongside heroin and cocaine. While eight states have legalized recreational use, the Trump Administration could bring the hammer down at any time. Which makes incorporation in Canada essential for the industry. Canopy Growth is also a good focus for investors interested in the space because it went public in Toronto in January, then began trading in New York in May. The company has a market cap of nearly $6 billion and four years of results investors can reflect upon. According to its financials, the company doubled its sales last year, to almost $78 million, and has $322 million in the bank, against long-term debt of under $7 million. The company has over 1,000 employees. In addition to capitalization and legitimacy, Canopy Growth also has an ally in Constellation Brands (NYSE:STZ), a liquor producer that has 9.9% of the common and just put C$200 million more into its convertible debentures. Trefis sees revenue quadrupling next year to nearly $300 million, and its price target on the shares for next year is about $55, against a Jul. 11 opening of about $29 per share. If Canopy hits its growth targets, it would still have less than 10% of the Canadian market, which is expected to bring sales of $4.3 billion over the next year. It is this optimism that is fueling a price-to-sales ratio of 77 on the stock. Robinhood Markets Inc., an app-based trading service that also likes bitcoin, says over 16,000 traders using its app presently hold shares of Canopy. In addition to Canadian legalization and the Constellation investment, Canopy also has celebrity credibility with rapper Snoop Dogg, who is well-known for liking the product. Canopy is said to be popular with “millennial investors,” but that’s less a reference to age than to attitude. Robinhood’s customers are retail stock speculators who like technology and can afford to take huge risks, in the hopes of big rewards. The reward is a market that could be worth $180 billion down the road, and a professionally managed company well-positioned with first-mover advantages. Canopy Growth could end up being a dominant player in a large Canadian pot market that has yet to consolidate, putting it in position to grow substantially in the next decade, as American laws change. Right now, however, it’s still trading near the front of what Gartner Inc. calls the “hype cycle.” Expectations are near their peak. Bad news can be expected, and even if the industry reaches the “slope of enlightenment” predicted in the models, it won’t be smooth sailing. Canopy, as “big pot,” could be shunned by buyers. A future Canadian government could slam the door shut on weed. The Trump Administration could treat the stock like it wants to treat street dealers in pot. The legal marijuana market may turn out to be smaller than anticipated. Know those risks before you invest, and do it with a clear head. Dana Blankenhorn is a financial and technology journalist. He is the author of the historical mystery romance, The Reluctant Detective Travels in Time, available now at the Amazon Kindle store. Write him at [email protected] or follow him on Twitter at @danablankenhorn. As of this writing, he owned no shares in companies mentioned in this article. Article printed from InvestorPlace Media, https://investorplace.com/2018/07/canopy-growth-stock-is-your-best-bet-in-marijuana/.